Want to date a vegan with conservative political views who earns more than $100,000 a year? Chances are there is a dating app to help you find exactly that. In today's swipe-dating culture, singles are spoiled for choice with literally hundreds of potential matches to choose from at your fingertips. But with the trend to make finding your perfect match into the perfect algorithm, niche dating sites are taking off. There's Elite Singles, who prides itself on matching highly-educated individuals with one another - more than 80 per cent of their clients are university graduates. Then there's The League, who similarly encourages you to look beyond Tinder and "spend your time a little more intelligently" with promises to find you someone who shares your education level, ambition, neighbourhood, height and religion. If that isn't enough detail, you can find your sustainability-loving match on Green Singles, or what about conspiracy theories? You'll find your match on Awake Dating. 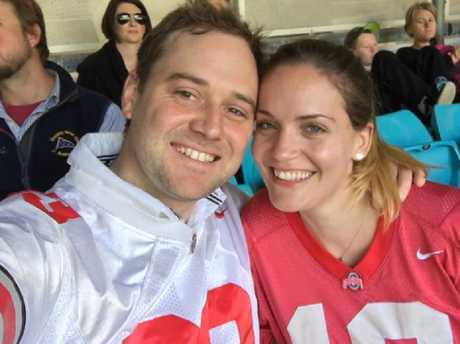 In the world of niche dating, it appears Australian singles are focusing more on a guaranteed long-term potential instead of the wild, unexplained attraction which may or may not work out. Zoe Coetzee is the in-house relationship psychologist at the Elite Singles headquarters in Berlin. She says similarities can make relationships a much smoother ride. "A shared lifestyle, education and location can contribute to finding love as people respond positively to familiarity and similarity, and similarity often results in shared outlooks, goals and preferences," she tells BW Magazine. "Aspects such as shared goals, values, and chemistry are a solid foundation for a good relationship and lasting compatibility. However, beyond the obvious factors it is very important how you make each other feel in the relationship." Coetzee says similarities can also help singles feel more accepted by their partners and can add security and a mutual respect. She agrees this is a good way of approaching love but says niche dating can still be wrapped in a cloak of mystery. "Love always retains some mystery, and the magic is that it can surprise you and sweep you off your feet when you least expect it," she says. 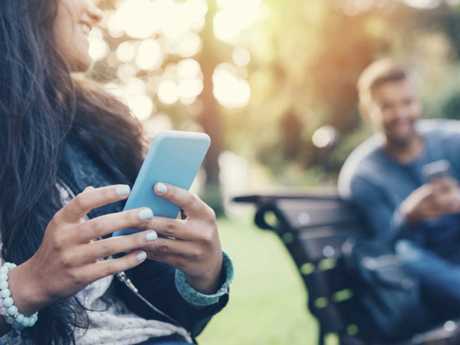 Finding love may be just a phone click away, dating experts say. Dating coach Chris Manak disagrees. He likens today's attitude to relationships to living in a bubble. When websites are willing to aid everything from allergy-based compatibility to dating per your pay grade, Manak says to stick to the basics. "Love can't be narrowed down to whether you are gluten-free or not. A lot of these apps are a lot narrower than they need to be," he tells BW Magazine, in response to Gluten-Free Singles, a website that does just that. And although Manak understands the appeal of dating someone with a similar lifestyle, he says it's a fine line between realistic and wacky. "I do sometimes wonder if they are putting it before their compatibility. Sometimes it can be beneficial to date someone who is opposite to you because it will strengthen your own resolve and conviction," he says. Manak does accept that niche apps have some merit too. In his experience, they can play the perfect cupid for men and women looking to date within their religion or culture. Sydney student Paris Vougdis, 21, wanted to date within the Greek Orthodox community, driven by her devotion to her grandparents who are deeply religious and cannot speak English fluently. She reflects that the narrow confines of religion can make it tricky to fall in love; her match must tick her boxes too, namely a love for a healthy lifestyle. "I want to please my family but it can be really hard because you may not necessarily get along," she says. "I've only had one partner and seeing him able to have a proper conversation with my grandparents was really important to me. They have done so much for me." A wish to replicate positive childhood experiences for their future children is one matchmaker Michelle Lewis has seen many times in her 23 years in the profession. She has seen both sides of the situation. She works for J-Junction, a matchmaking service for Jewish singles in Sydney, but has previously worked at one of Australia's oldest secular introduction agencies, Yvonne Allen and Associates. "I often make a joke of it, come to a J-Junction matchmaker so you can tell your mum you are dating Jewish," she laughs. "I think there is a percentage of Jewish singles who would prefer to marry another Jew. The cultural aspects of Judaism run very strong and very deep." Dating apps are so specific now they even deal with matching Gluten-Free singles, as well as vegans and those with similar political views. But aside from religion, she believes love doesn't have to be a meeting of complete equals when it comes to income and education. "If you look at some very successful couples, they don't necessarily have the same education level. Let's keep it real," she says. "The things that keep coming up in successful long-term relationships are that if core values are aligned then the little stuff can be worked out." Lewis is concerned about the quality of advice given to singles - especially the hefty serve of what she dubs the "Cinderella syndrome". "The surface and superficial stuff makes people forget that dating is about getting to know someone in their everyday life," she says. "Everyone might find a Prince Charming but they don't find it without putting in effort themselves." WHEN Jessica McElhinney spotted Andrew Simpson at a bookstore bar at Glebe a few years ago, she needed a moment to collect herself. "I was struck by how handsome he was," she says. But their meeting was not a chance encounter; it was orchestrated by the matchmakers on dating site eHarmony. The site is known for its serious approach to love and is a hit among Aussies including McElhinney and Simpson, who wanted more than a fling. It specialises in more niche matches including Asian dating, Chinese dating, dating for professionals, seniors dating and ethnicity dating. 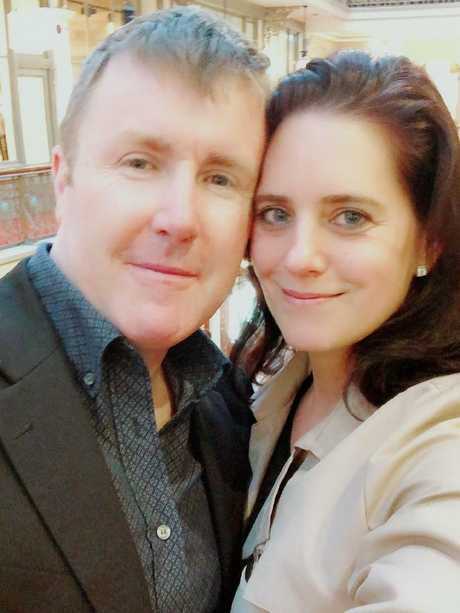 "We both were going for a promotion at the time we met so we knew ambition was important to us," McElhinney, a schoolteacher, says of their first date. Both shared a love for the outdoors, and both have parents who have been married for 30 years. "Neither of us spend a lot of money, we both save. Religiously, we are both Anglican and we like the idea of religion. Both of us go to church every now and again," she says. 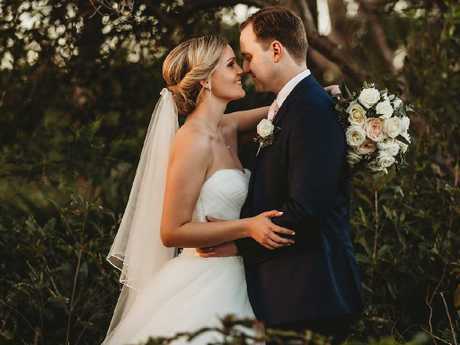 The pair, who married earlier this year, agree that their similar upbringings, careers and attitudes not only helped in the early days of their relationship, but helped them agree on the future. "We are both from loving and hands-on families. We really want to emulate that for our future children as well," McElhinney says. She says being with someone with strong and opposing political views can be difficult if they are unwilling to see the other side. "I think it would be an issue, especially if they had their blinkers on about it," she says. Ultimately though, the pair credit their compatibility to not only their similarities, but also to a willingness to talk about what they disagree on. "WE ARE A REALLY GOOD FIT"
LIKE most singles, Rhonda Lettieri had a checklist she wanted in her perfect match - responsible, educated, healthy, financially stable and with a good job. With the help of Elite Singles, she found her match in Matthew Ashton. "I decided to try one last time and found Matthew," says 45-year-old Lettieri, who had been married twice before. "I needed someone to match my needs. We were such an easy blend and a really good fit. "I have dated people in the past who weren't in the same field as me and who didn't take their jobs seriously. I take my career seriously and I needed someone to match that." Ashton, 47, fit that bill. Like Lettieri, he is also a sales professional, been married before and had equally terrible experiences on general dating sites. "I have dated a police inspector and a navy professional and the challenges for them are so different; you can't understand what they are going through. I found that really frustrating," she says. On their first date, Lettieri recalls performing a mock job interview - to pass, he had to have enough similarities to fit into the life of her two young children. "I wanted to know if there was any alcoholism or drug use. We were both really harsh on the first few dates and put it all on the table," she says. "I said, 'If you've lost $50,000 on the stock market, I want to know'." The couple are among a host of Australian singles finding love and comfort in their similarities. Lettieri and Ashton's blossoming romance was fast-tracked by a shared lifestyle. "We're very similar. We like physical activity in the morning, we try to eat responsibly and to cook our own meals. We both don't smoke or do recreational drugs," she says. The pair met in July and Ashton has already proposed. The hunt for an engagement ring is on as they prepare to move in together. "(The similarities) reassured me that he was quite normal and he wasn't hiding anything, " she says.